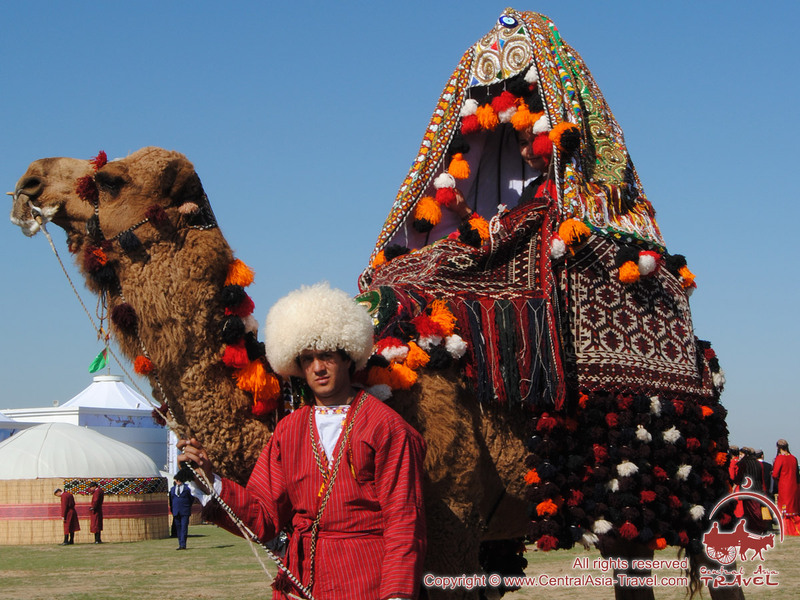 This combined Uzbekistan - Turkmenistan tour with stops at the must-see cities will guide you across two desert Central Asian republics where powerful states - Bactria, Sogdiana, Margiana and Khwarezm were located in ancestry. 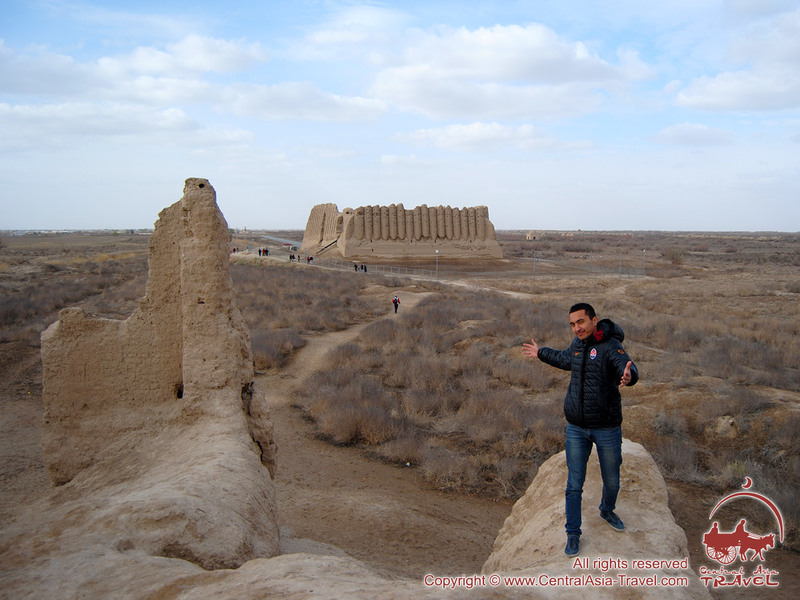 The ruins of ancient fortresses of Merv, Khwarezm and Afrosiab are preserved till nowadays and remind of the bygone might of perished empires. Such ancient monuments as the mausoleum of Tamerlane, the Registan Square, and the Kalyan Minaret harmoniously blend and even amplify the colour of the modern eastern cities. 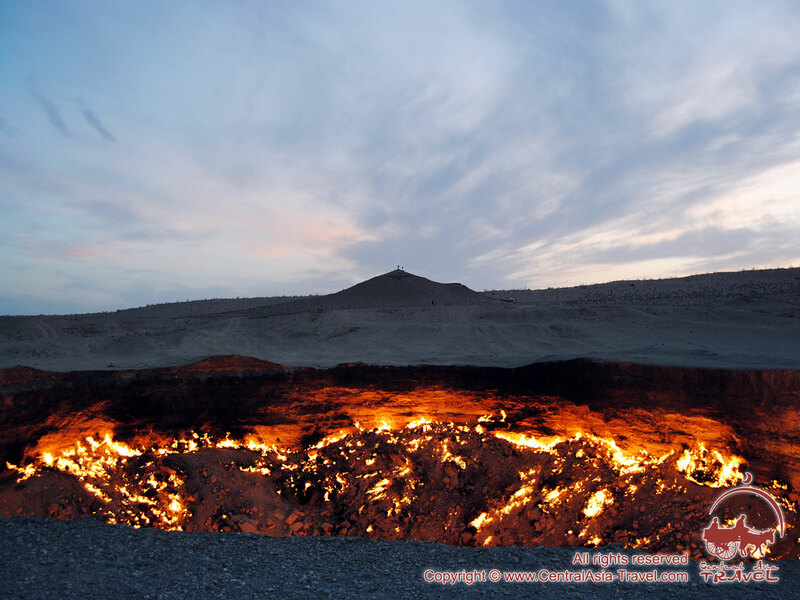 Besides, this guided sightseeing tour will show you the most fascinating attraction in Karakum desert - the “Doors to Hell”, or Darwaza Gas Crater that will amaze you. You will feel a legendary babel of real oriental bazaars and discover the culture, original traditions and hospitality of the locals. Day 1. 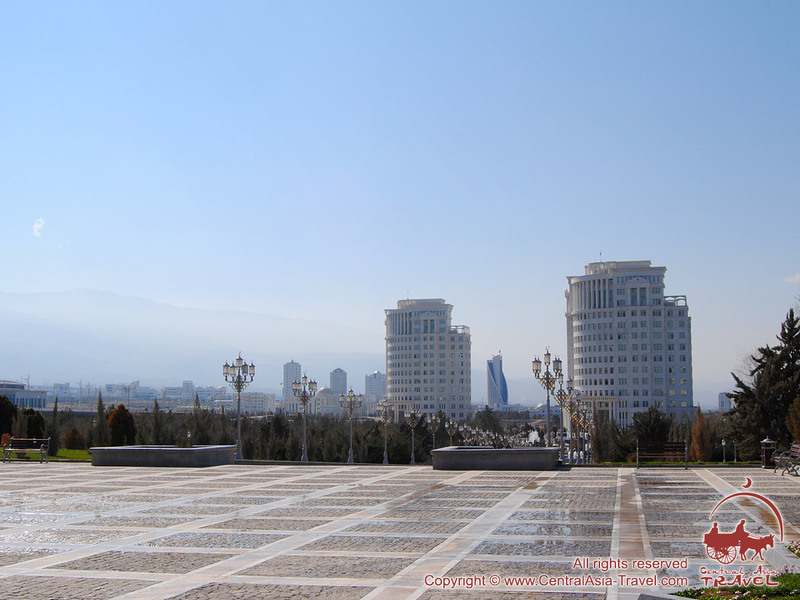 Tashkent, arrival and city tour. Arrival in Tashkent early in the morning. Transfer to hotel for some rest. 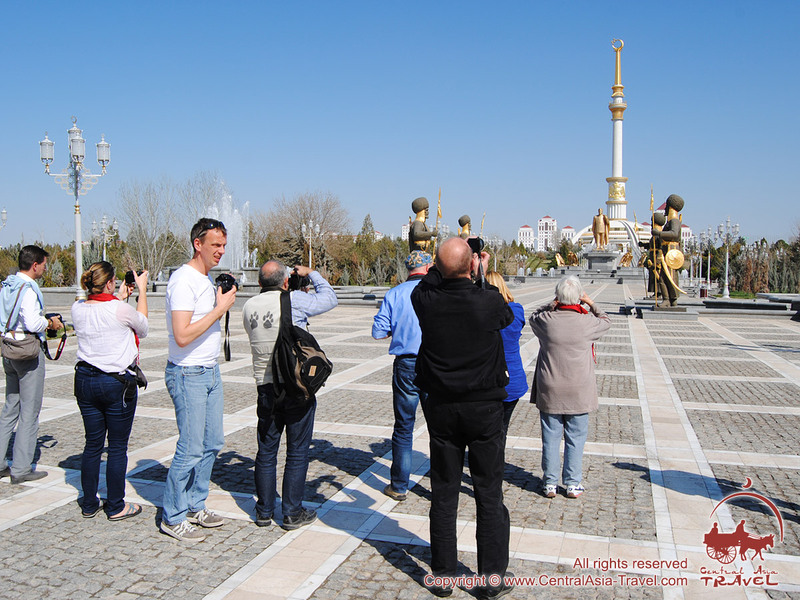 After breakfast start of the guided sightseeing tour around Tashkent: Khast-Imam Square, Barak-Khan Madrasah, Kafal-Shashi Mausoleum; Kukeldash Madrasah, Museum of Applied Arts, Independence Square, Amir Timur Square and Tashkent metro. Day 2 Tashkent - Samarkand (morning train, 07:30-09:48). Early breakfast at the hotel. 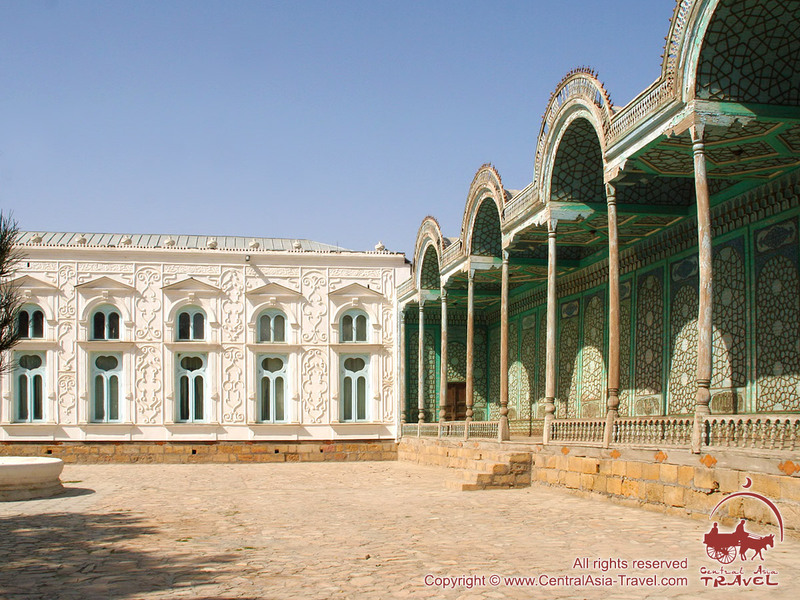 Ride to Samarkand by premium service high-speed train “Afrosiab”. 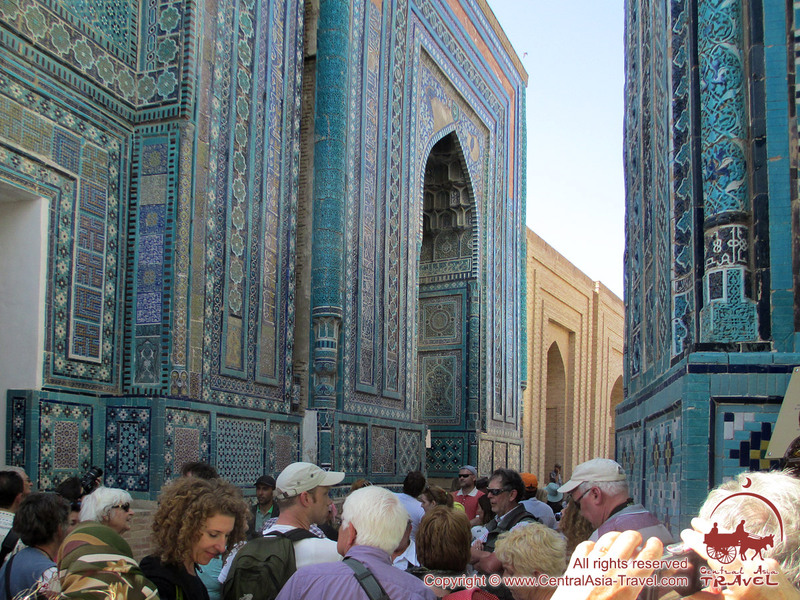 Guided sightseeing tour of Samarkand on arrival: Gur-e Amir Mausoleum (Tamerlane’s sepulcher), Registan Square (Ulugbek Madrasah, Sher-Dor Madrasah, and Tilla-Qori Madrasah), Bibi-Khanym Mosque, Shah-i-Zinda Necropolis, and Ulugbek Observatory. Day 3. 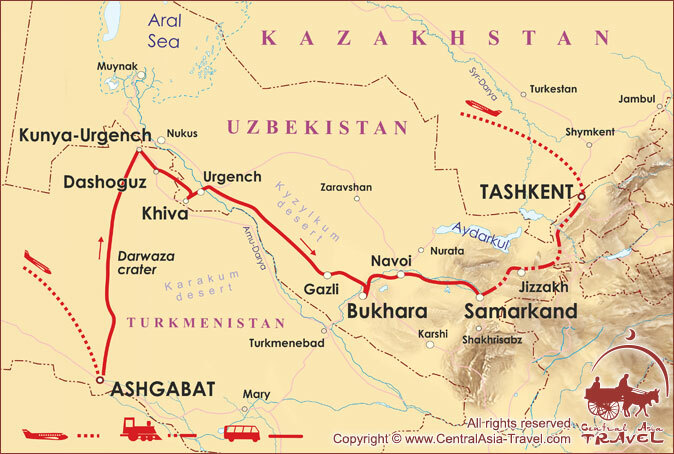 Samarkand - Gujduvan - Bukhara (road transfer, 280 km). Breakfast at the hotel. 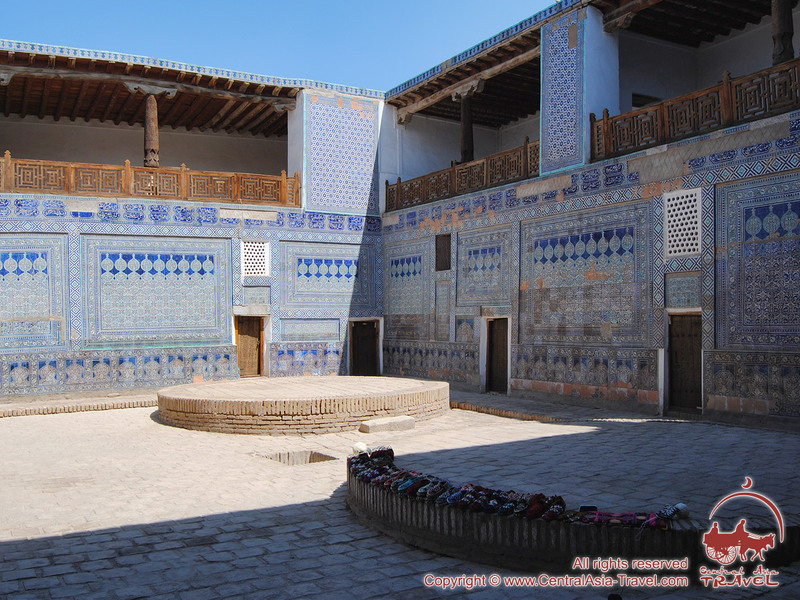 Continuation of the sightseeing tour in Samarkand: visit Afrosiab museum and settlement. Drive to Bukhara. On the way stop in Gijduvan and visit local ceramist’s family. Gijduvan is one the centers of pottery in Uzbekistan, ceramic products in Gujduvan have its own painting style of green colors, which is not repeated in any other region of Uzbekistan. Further transfer to Bukhara. Upon arrival accommodation at the hotel. Leisure time. Visiting the souvenir shops and workshops is recommended. Overnight at the hotel. Breakfast at the hotel. 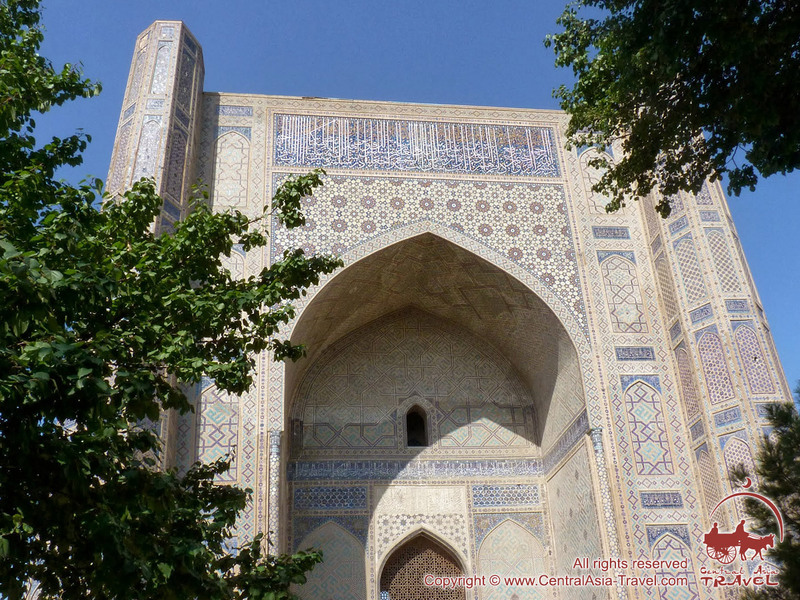 Start of the guided sightseeing tour around Bukhara: visit Ismail Samani Mausoleum, Chashma Ayub Mausoleum, Bolo Khauz Mosque, Ark Citadel, Po-i-Kalyan Complex (Kalyan Minaret and others), Ulugbek Madrasah, Abdulaziz-Khan Madrasah, Lyab-i Hauz Architectural Ensemble, Kukeldash Madrasah, Nadir Divan-Begi Madrasah, domed shopping arcade. Day 5. 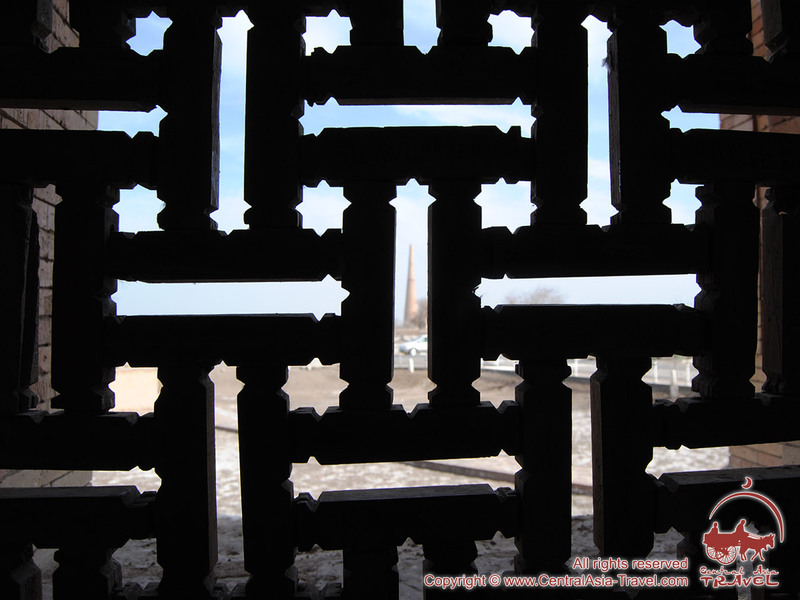 Bukhara - "Farap" land border - Mary - Merv ancient city - Mary (road transfer, 385 km). Breakfast at the hotel. 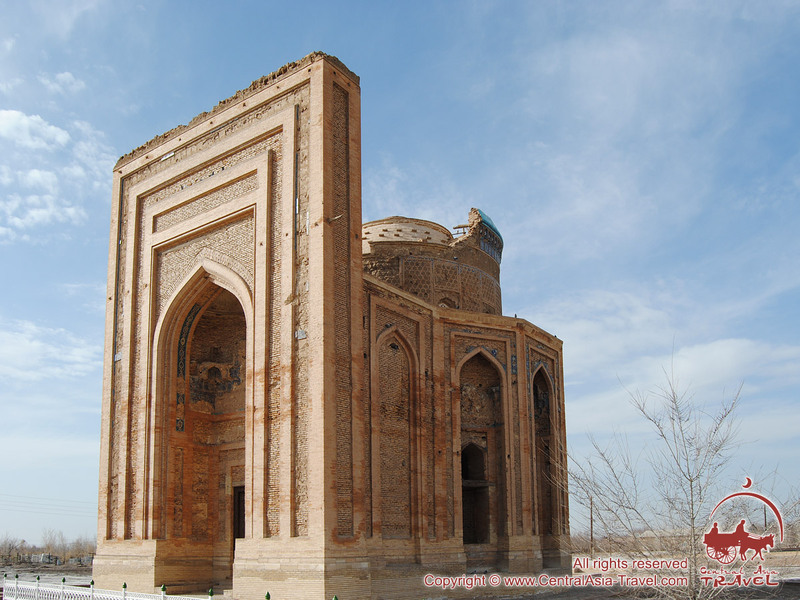 Transfer to Uzbek-Turkmen border “Farab” (2-hours drive from Bukhara). Border formalities. Continue driving to Mary via visits of Ancient Merv (UNESCO) en route. Upon arrival in Mary city tour with visits of Juma mosque and Russian orthodox church. Transfer to the hotel, overnight. Day 6. Mary - Ashgabat - Kov-Ata underground lake - Ashgabat (morning flight, 07:40-08:20 approx.). Morning transfer to the airport for further flight to Ashgabat. Upon arrival day trip to Nohur village in the Kopetdag Mountains (visit tribal cemetery and pilgrim site; silk weaving homes), via visit of Turkmenbashi mosque-mausoleum and Kov-Ata underground lake on the way. Return to Ashgabat, transfer to the hotel and rest. Day 7. 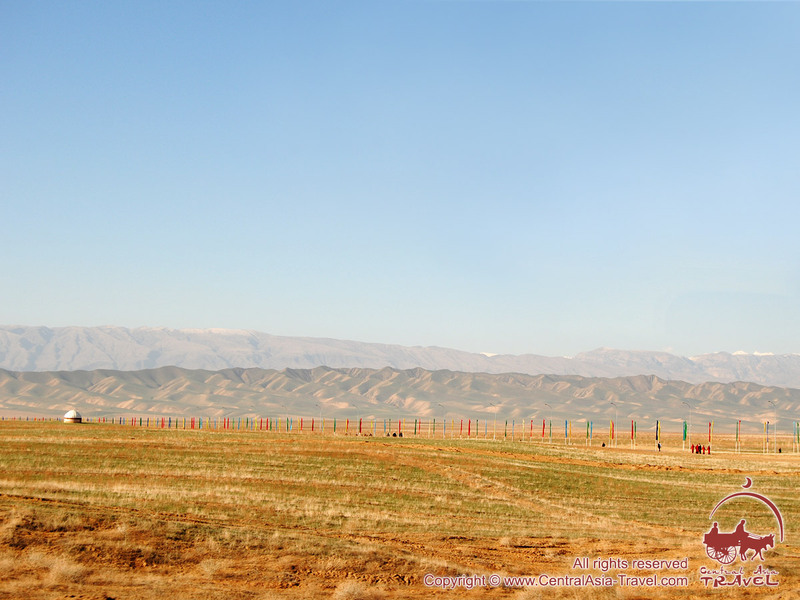 Ashgabat - Darwaza gas crater (Karakum desert) (road transfer, 300 km). After breakfast city tour with visits of National museum, Neutrality Arch, Independence park and ancient settlement of Nissa (UNESCO heritage site). After lunch drive to Darwaza in the Karakum desert, via visits of Muddy crater and Water crater. 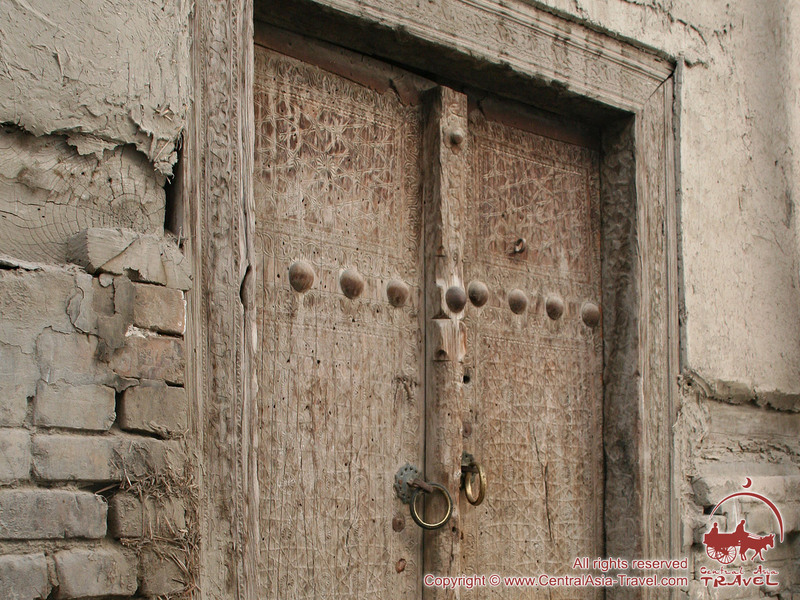 Arrival in Darwaza before sunset (at 18:00 approx.). Enjoy barbeque dinner on the open air; discover the burning gas crater by day and nighttime. Overnight in tents (field conditions). Day 8. Darwaza crater - "Khojeyli" land border - Nukus (road transfer, 300 km). 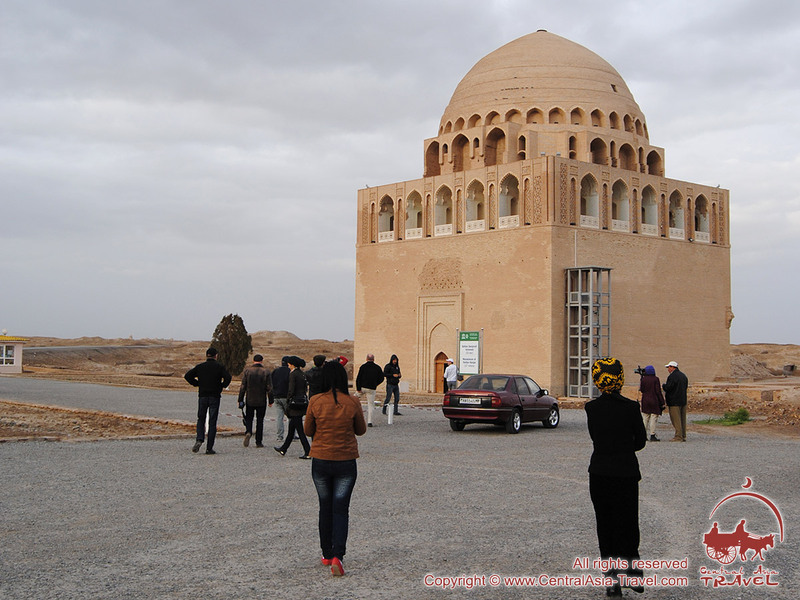 After camp style breakfast drive to the ancient settlement of Kunya Urgench (UNESCO heritage site), sightseeing tour. Continue driving to the land border with Uzbekistan. Cross the border before lunch break. Change driver and car on the border and further transfer to Nukus. On arrival transfer to the hotel and check in. Day 9. Nukus - Khiva (road transfer, 200). Breakfast at the hotel. Excursion to Savitskiy Museum. The I.V. Savitskiy State Art Museum is famous for its great collection of modern Russian and Uzbek art of 1918-1935, collected from all over the world. Today the museum is considered to be the world’s second largest collection of Russian avant-garde paintings. 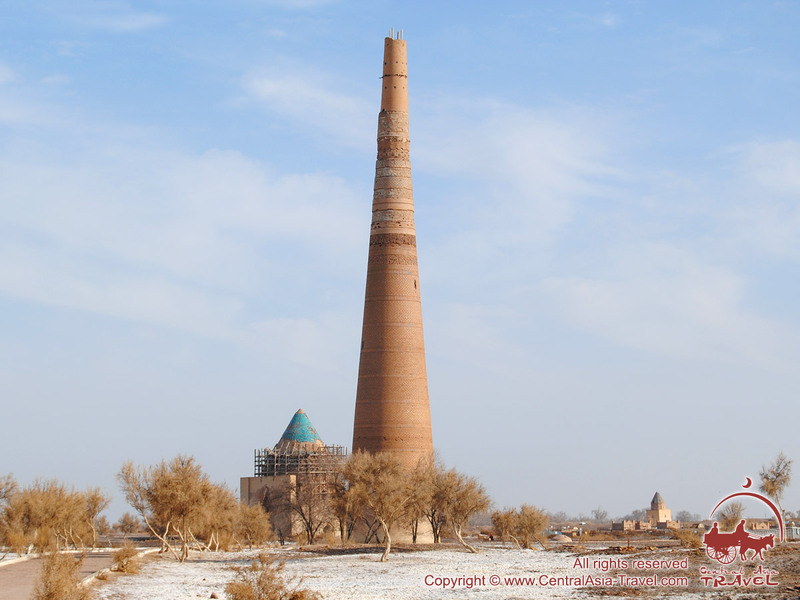 Further transfer to Khiva. Upon arrival check in to the hotel. Free evening. Day 10. 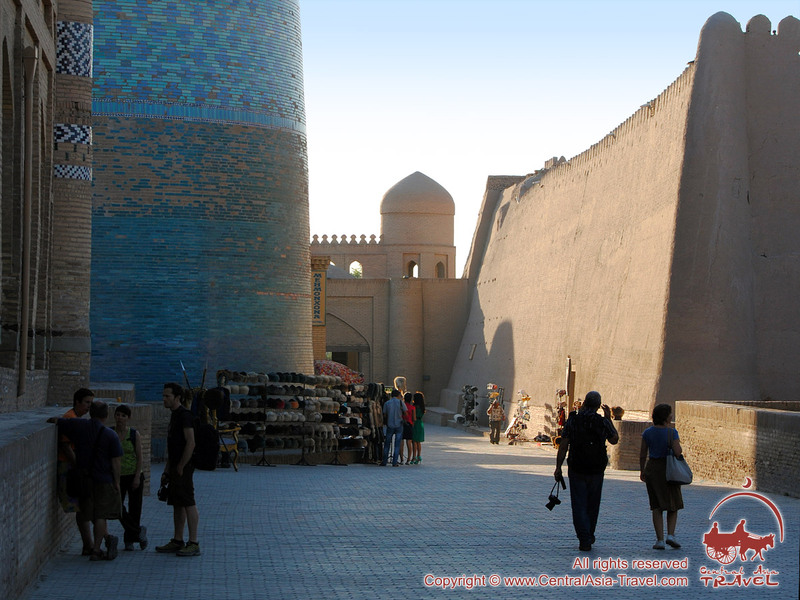 Khiva - Urgench (road transfer, 35 km) - Tashkent (evening flight). Breakfast at the hotel. 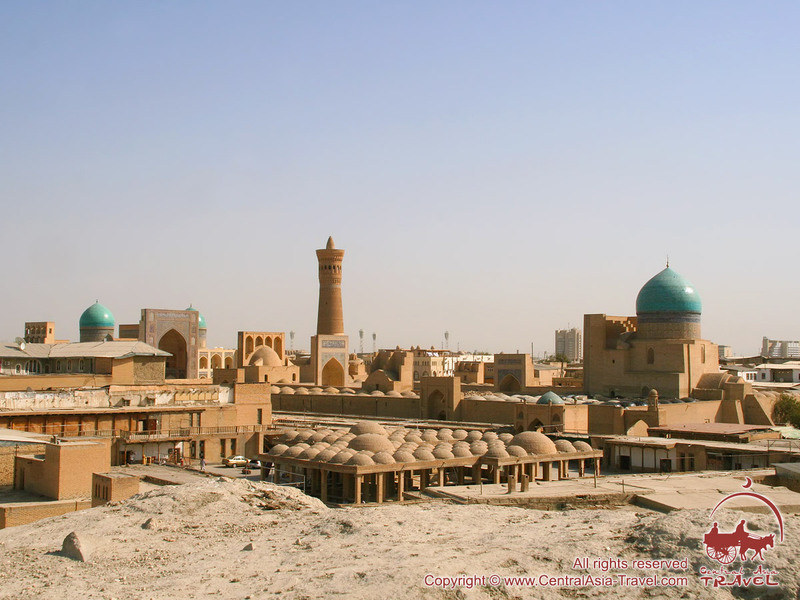 Guided sightseeing tour around Khiva: Ichan Kala (historical inner city), Pakhlavan Mahmud Complex, Kunya-Ark Fortress, Islam Hajji Madrasah & Minaret. 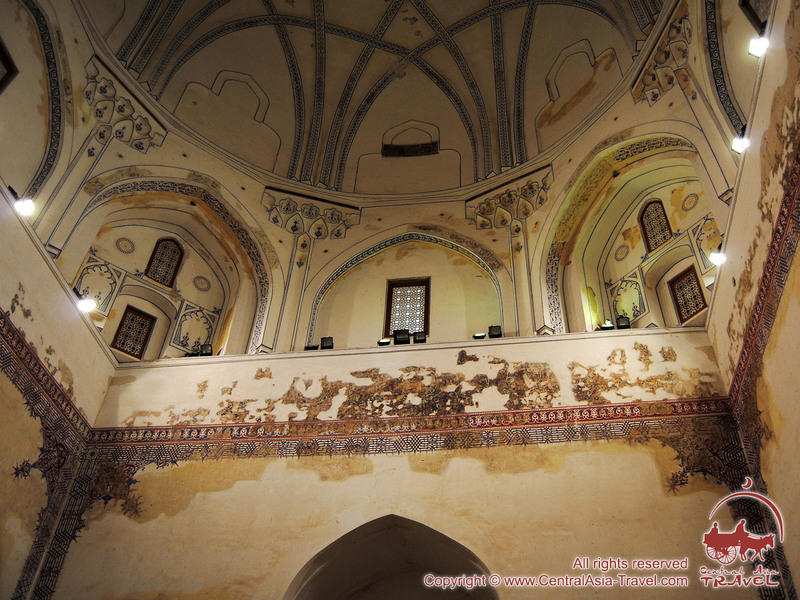 After lunch: Tash Khauli Alakuli Khan Palace, Juma Mosque, Muhammad Aminkhan Minaret & Madrasah, and Avesta Museum. Transfer to Urgench to take evening flight to Tashkent. Upon arrival check in to the hotel. Internal flight ticket from Urgench toTashkent (economy class). Visa invitation to Turkmenistan, including Letter of Invitation, State Registration and Travel Pass (obligatory for all foreigners). Photo and video shooting at museums and monuments. We choose the most conveniently located and reputable hotels for our customers to stay at. The list of the hotels we offer is below. However, due to seasonal conditions and group size this list is subject to change. - Hotels 4* - very comfortable hotels providing excellent facilities and services; mainly located in or near city centers. Group of 1-2 tourists "Toyota Avalon sedan car" Group of 1-2 tourists "Daewoo Lacetti sedan car"
Group of 3-4 tourists "Toyota Sienna minibus" Group of 3-5 tourists "Hyundai Grand Starex minibus"
Group of 5-9 tourists "Toyota Hiace minibus" Group of 6-9 tourists "Toyota Hiace minibus"
Group of 10+ tourists "Bus for 45 seats" Group of 10-14 tourists "Mitsubishi Rosa minibus"
-	a photo of good quality (size 3:4). After receiving these documents we apply to the Ministry of Internal Affairs of Turkmenistan for visa invitation issuance for our tourists. The process of visa invitation issuance takes 7-10 working days. 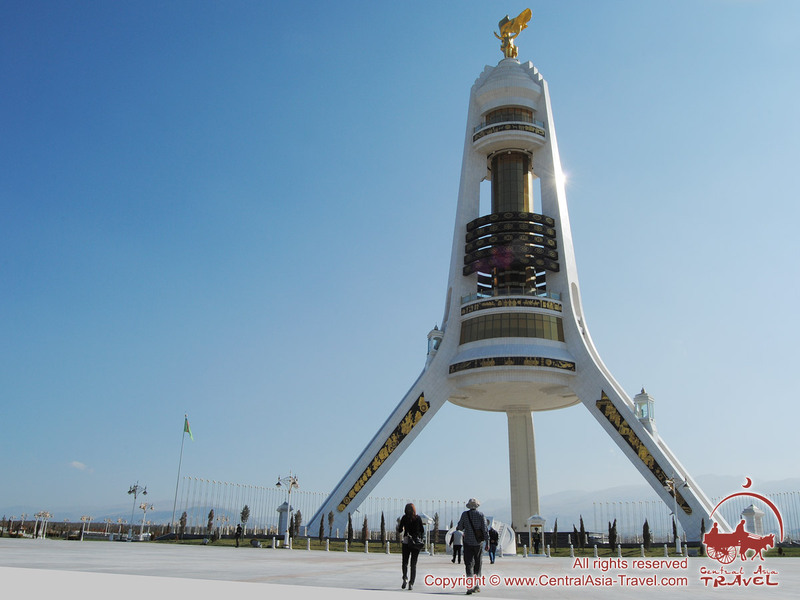 On the basis of the visa invitation a tourist can get Turkmenistan visa at the embassy of in any country, where there is Turkmenistan Embassy, in Ashgabat airport or at the consular department on the border. 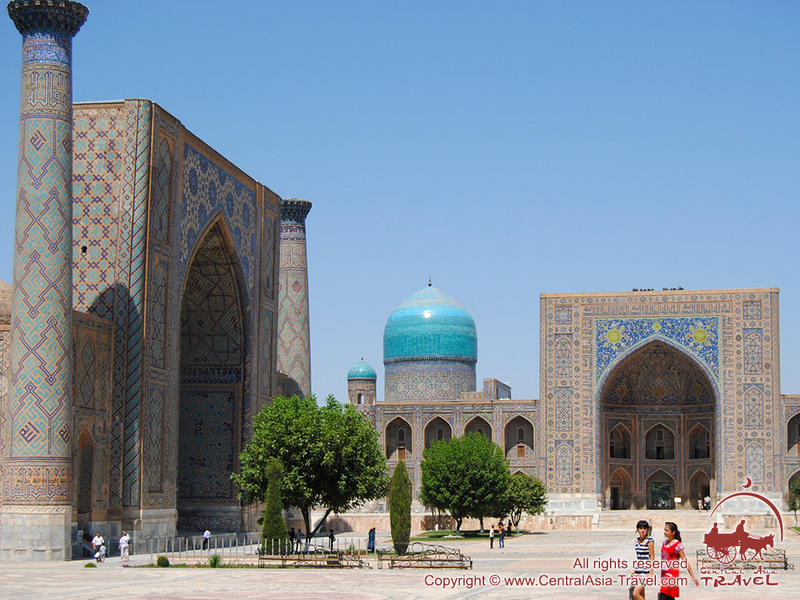 Can foreigners to Uzbekistan use the services of a local mobile network operator during their stays in the country? Yes, they can if they have a stay permit to show. 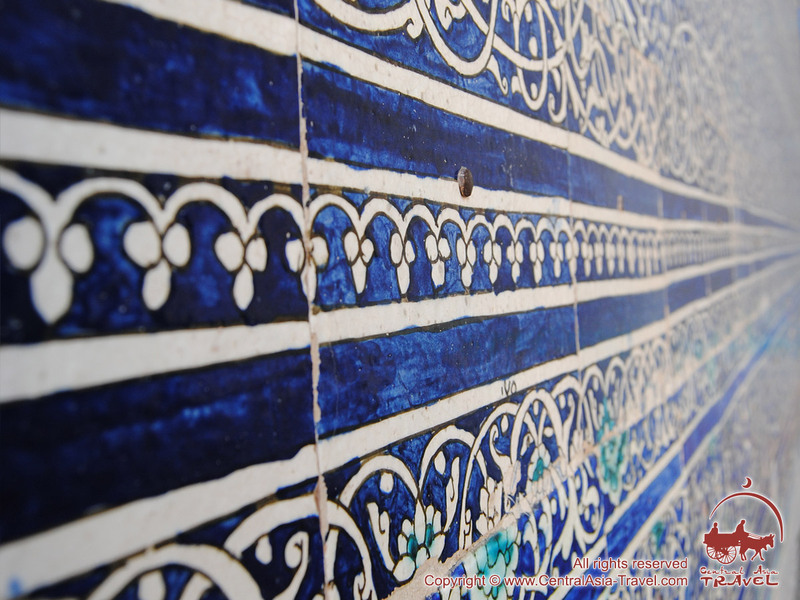 • You can go to the unique Khovrenko Winery in Samarkand set up by the Russian entrepreneur D. M. Filatov in 1868. The winery was later managed by Professor M. A. Khovrenko, a gifted viniculturist, who could maintain the production of the widely popular wines created by his predecessor and develop new ones. 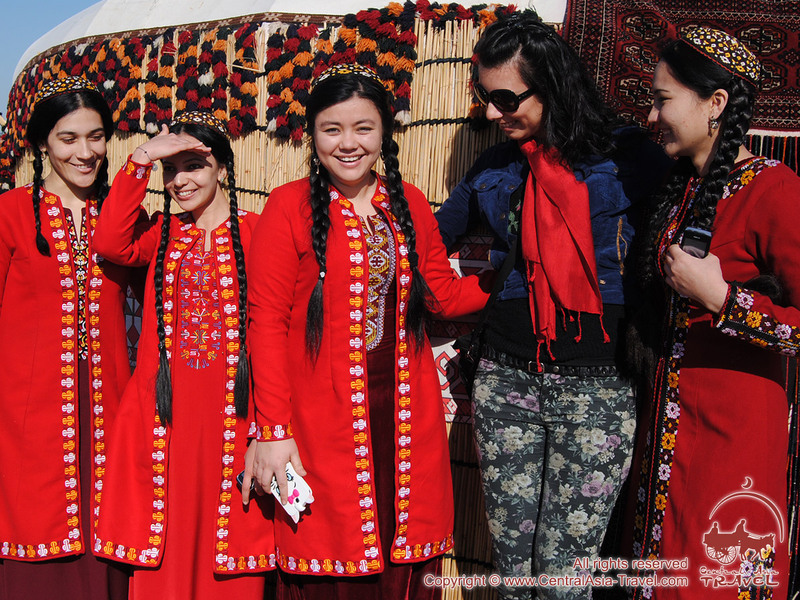 You can sample over 10 best Uzbek wines and visit the local museum on the premises. The excursion costs - 20 USD per pax. 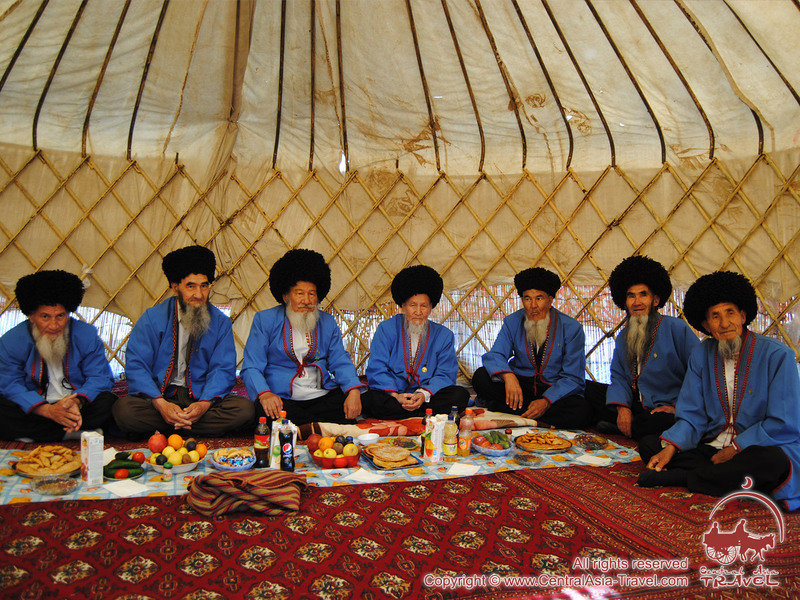 • Dinners at the local Central Asian traditional style art restaurants can be a wonderful addition to the tour. 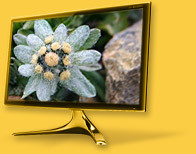 The restaurants feature exquisite Central Asian interiors, wonderful cuisines and gripping shows. • Take a trip to Bukhara’s gold embroidery factory where over 100 girls and women create beautiful works using antique technologies. You can buy their embroideries and watch the production process there. The excursion costs - 10 USD per pax. 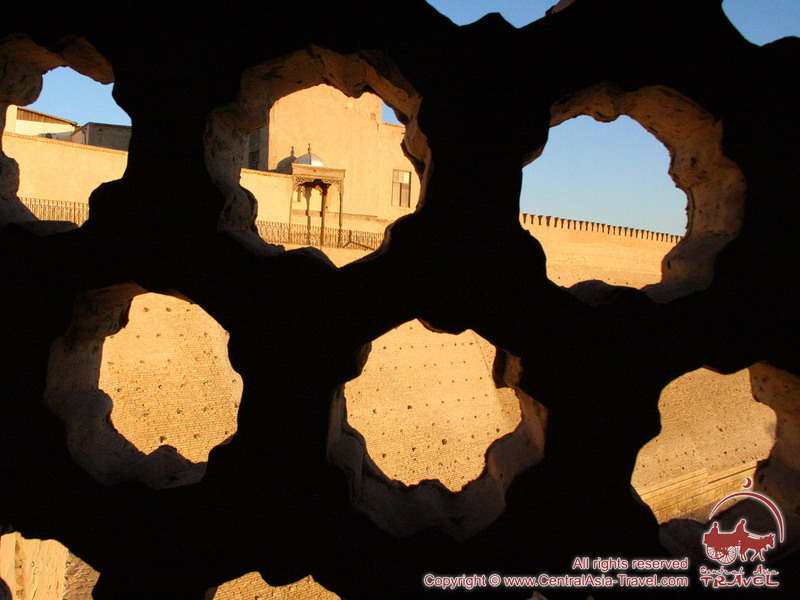 • Enjoy old Bukhara’s bathhouse Hammam Bozori Kord, which dates from the 17th century and still provides traditional Central Asian bath and healing services. A bath session with a massage costs - 50 USD per pax. 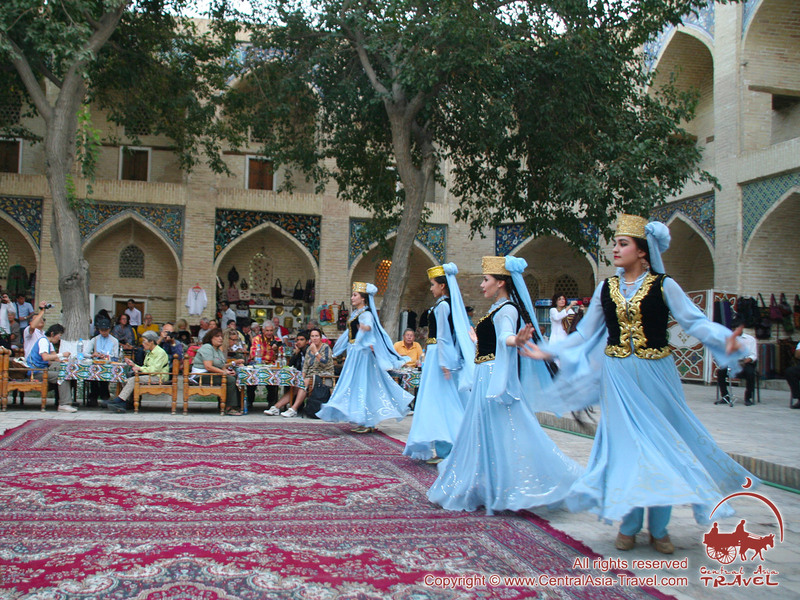 • Go to Nugay Caravanserai in Bukhara to sample and buy exclusive local red and white wines, as well as listen to experienced winemakers telling about winemaking process and wine tasting expertise. The excursion costs - 15 USD per pax. 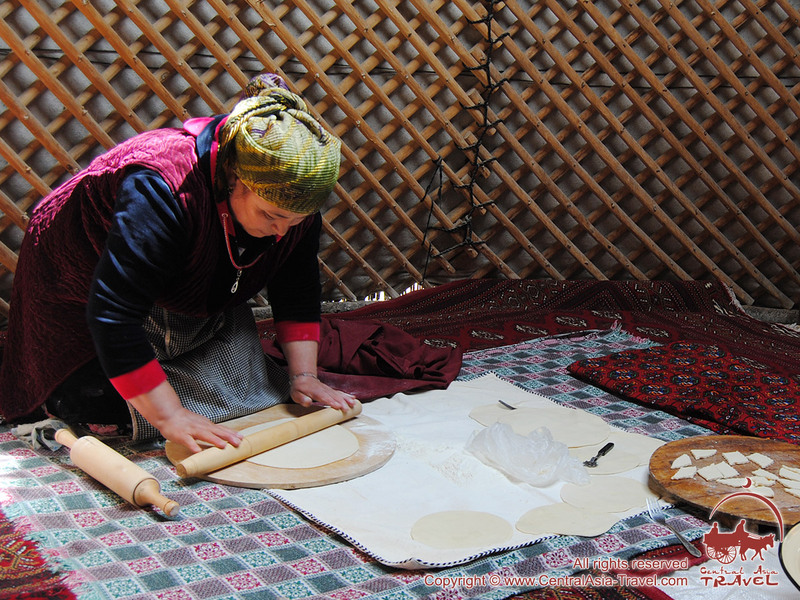 • Take a look at the old-style paper mill and workshop where, using a centuries-old technology, they make antique Samarkand mulberry paper (nicknamed Sultan’s Paper in Tamerlane’s times). 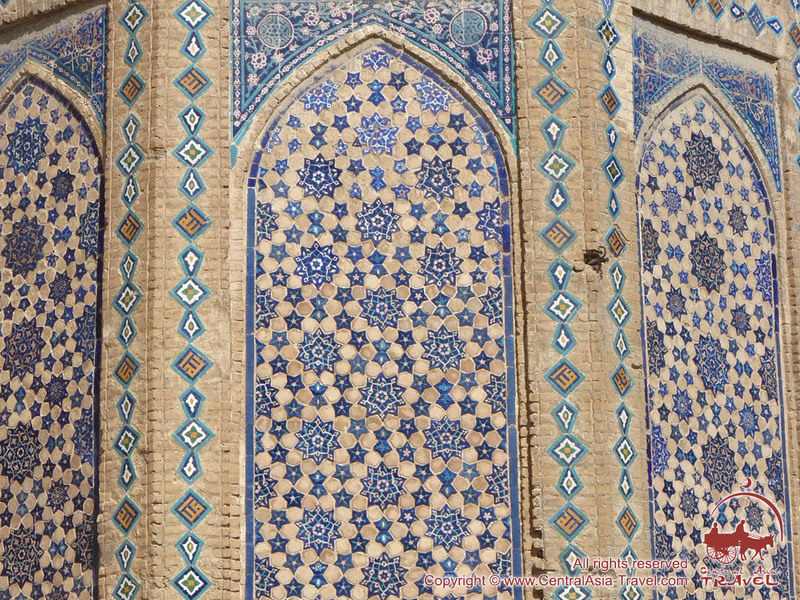 The site located in the village Koni Gil near Samarkand was built as a result of a heritage craft revival project supported by UNESCO, Japanese International Cooperation Agency, and Aid to Artisans (an international development non-profit based in Washington, DC, USA). Welcoming guests, there are also other handicraftsmen in the village: ceramists, embroiderers, silk weavers, jewelers, wood and stone engravers, miniature painters, makers of national musical instruments and toys. The excursion costs - 10 USD par pax. 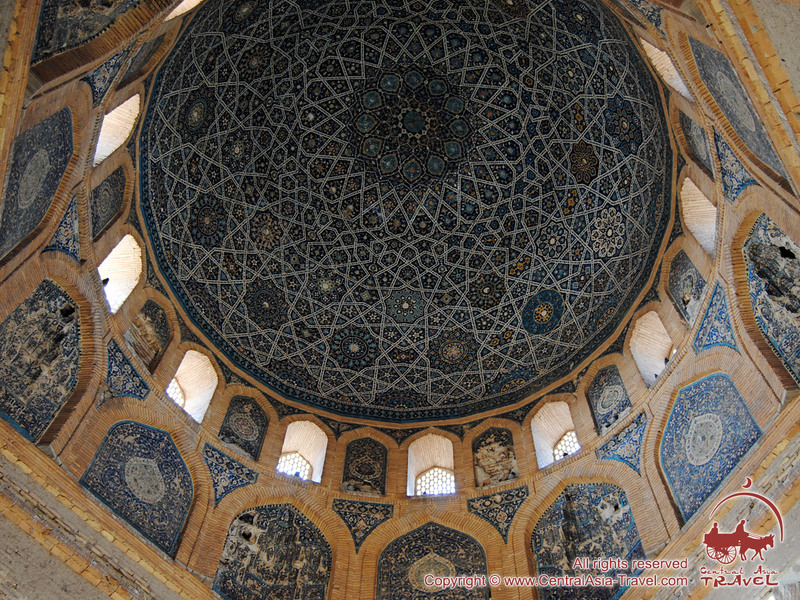 • Visit the Jewish quarter and synagogue in it in Bukhara. The synagogue has an interesting history. Attached to it is the secondary school №36 where Hebrew and Judaism are taught with the permission of the local authorities.